Tune in to KUSI morning news this Friday & see our FACE! FACE Foundation is excited to be on KUSI morning news Friday, April 12th to discuss our biggest fundraiser of the year, Bags & Baubles! All proceeds go directly to FACE Foundation to help save the lives of local family pets! Please tune in between 9am-10am to hear more about the event from Stacy Steel our Executive Director and to see what Lulu our spokesdog will be wearing! 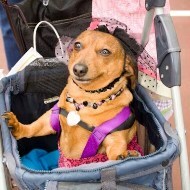 When this adorable Duchshund started limping unexpectedly, his owner knew something was wrong. After taking him to the vet, he found out that Critter had Intervertebral Degenerative Disc Disease (IVDD), a very serious neurological problem common in Duchshunds. His owner is a full time student, and couldn’t afford the emergency surgery needed to help Critter. 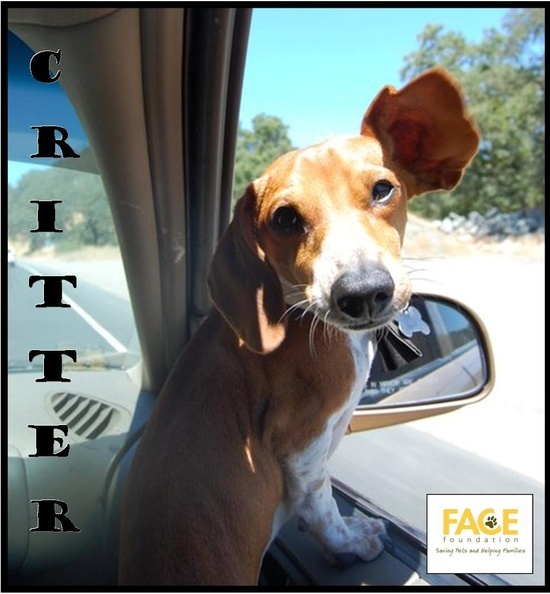 Luckily, FACE was able to help Critter, and now he is home recovering with his very grateful and loving owner. Did you know that just like humans, dogs also need a proper post-workout cool down? Whether you took your dog out for a run/hike, or a fun game of fetch outside, dogs need their owners to help them properly cool down. Here are a few basic tips on how you can help your furry companion after a workout. Always be sure to take along plenty of water for the both of you when you go out for a long hike, walk or run with your dog. Stop for water breaks, maybe around every mile or when you see that your dog is panting, allowing your dog to drink just enough to quench her thirst each time. Don’t allow her to gulp large amounts of water at one time, as this can lead stomach upset or bloating. Just as a cool-down period after exercise is important for humans, dogs should be allowed the same luxury. Toward the end of the run, power walk or hike, gradually slow down and walk casually for several minutes to allow your dog’s body temperature and heart rate to slow down. You might even consider giving your dog a muscle rub-down or help her to stretch her limbs once you get home. Note: If your dog’s starts panting heavily and the panting doesn’t slow down even after you have slowed down for a water break, or he becomes disoriented or weak, call a veterinarian right away. 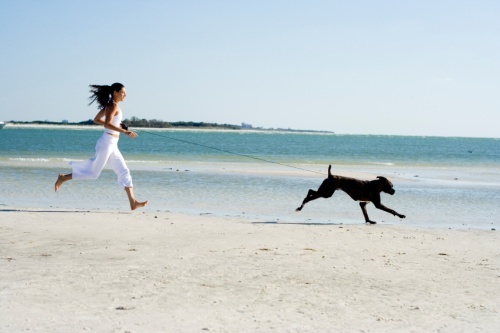 You should not exercise your dog right after a meal, as this can lead to digestive upset or bloat. Keep in mind that your dog will no doubt be very hungry after a long workout. After a period of cooling down and rehydrating with water — small amounts at a time so he doesn’t gulp too much down — feed your dog her normal meal. If you have the fortune of having a place to exercise in the great outdoors, away from the urban sprawl, you will need to be especially vigilant about checking your dog for ticks and other small hazards after every outing. Check inside the ears, under the belly, and between folds of skin (e.g., armpits, neck) where insects might hide. Run your fingers through her haircoat and remove any foreign objects like burrs. 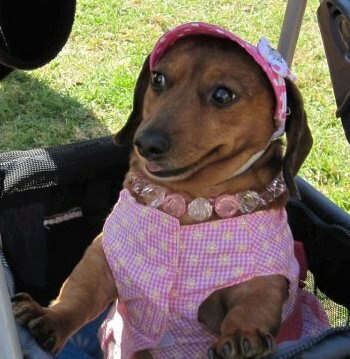 Even in urban areas, your dog can pick up little bits in her paws and nostrils. In fact, part of your post-workout routine can be a thorough and relaxing brushing. Don’t forget that feet are an important part of your dog’s body and should be given special care. Inspecting the toe pads and nails after a day out running or playing is of vital importance. Check carefully for any cuts, cracks, blisters, or dirt stuck between the toes. If necessary, wash the feet and dry them carefully before checking them over. If you see any serious wounds or damage to the foot pads or nails, check with your veterinarian for care instructions. Huge Success for FACE 2012 Bags & Baubles! Despite the bleak weather, the attendees were all smiles at FACE Foundation’s 2nd Annual Bags & Baubles held last Sunday, April 29th. 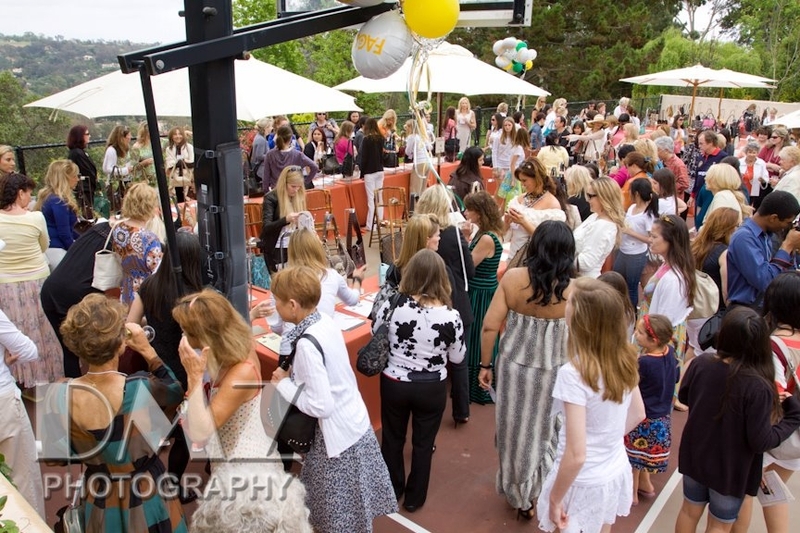 There was a great deal of excitement as over 250 new and “gently-loved” designer handbags were auctioned off at the beautiful Casa de Cinira in Rancho Santa Fe. All proceeds benefit FACE, a non-profit organization that provides financial assistance to help cover the cost of life-saving veterinary care. In addition to bidding on handbags, guests had the opportunity to view and purchase impressive collections of fine jewelry from the Kazanjian Brothers, Yael Designs, and Dodo by Pomellato. Guests indulged in delicious cuisine prepared by Cal-a-Vie Spa and Resort Executive Chef Jason Graham. Hooters staff led by Greg Napoli served hundreds of freshly made appetizers. The FACE Foundation would like to thank Honorary Chair Lisa Pavin, Chairwoman Missy Cameron and committee, our generous sponsors, handbag donors, and volunteers who made this event possible. The event raised over $100,000 to help local families with their pets in need of care. FACE is already looking forward to next year’s Bags & Baubles, which will be held on Sunday April 28th, 2013. Adopt a dog or cat and receive special offers including $10 off any bag of Hill’s Science Diet dog or cat food when you adopt a pet. * Plus, all pet parents who adopt enjoy additional savings from Petco’s Think Adoption First™ Care and Savings program. Check with your local store for exact times and details. *While supplies last. See offer for details. Expires 3/18/12. Check with your local store for exact times and details.